Many are drawn to our beautiful mountain region because of the incredible scenery, perhaps desiring a greater connection to nature or aspiring to lead a more active life. 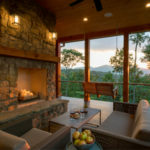 So it’s no surprise that outdoor living spaces are becoming an important feature of luxury mountain home design. 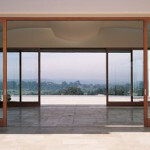 We understand that capturing views and inspiring a feeling of integration with nature is paramount to any home design. Whether you are looking for a quiet space to read or watch the birds, or want the full outdoor living experience with fireplace, summer kitchen and water element, we have the experience designing outdoor living spaces that inspire. Outdoor living spaces are an extension of your home, so the warmth and comfort traditionally felt indoors should simply flow through to the outside. Check out our Portfolio to see some of our incredible outdoor living space designs. Our outdoor living design services encompass a wide variety of planning and preparation for your particular site. We will guide you in building a team of qualified professionals who are knowledgeable and well-equipped to provide installations that stand the test of time in the mountain topography of Western North Carolina.